Between 16th February and 18th May inclusive, Margaret will be on sabbatical and therefore not available. 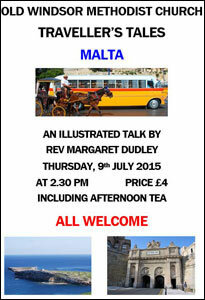 Instead, if pastoral care is required, please contact Rev Julie Underwood 01784 - 881527. 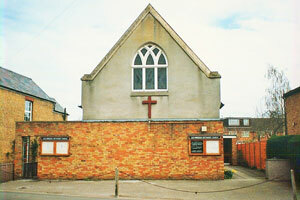 Old Windsor Methodist Church is in St Luke's Road opposite Hartley Copse. Our regular Sunday Service is held at 10.30 am. We hold a Coffee Morning every Tuesday from 10 am to 12 noon when there is an opportunity for a chat and fellowship over a cup of coffee. Our wide range of activities include regular Bible Study, illustrated talks entitled "Traveller's Tales", and Fund Raising events for charity. Several of our members are actively involved as part of an ecumenical team in the Open the Book project at our local first school, one morning each week during assembly. The team has great fun preparing (including dressing up for) each scripted bible story. Why not have a look at some of our Open the Book pictures in the Photo Gallery! 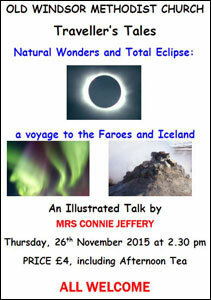 The children are very enthusiastic and look forward to each week's story. If you would like to find out more about Open the Book, visit its website. 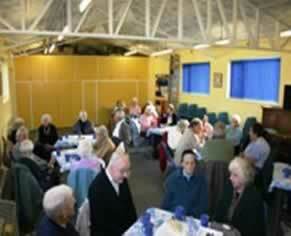 The premises are also used regularly by village organisations such as Tiddlers and Toddlers. Our members are committed to serving the community in Old Windsor, and are heavily involved in a wide range of activities and organisations. 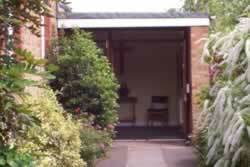 Our church premises are easily accessible to wheelchair users and there is an accessible toilet. We have an Induction Loop system in the church for those with hearing aids. Hymn books are available in large print from the Door Stewards. It's so unusual, perhaps unique for a Church of our size! It's a simple, effective advertisement. Look at it from both inside and, preferably in the dark, from outside. 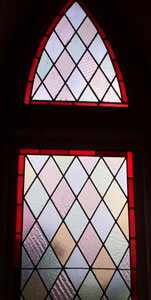 Included when the Church was built over 100 years ago, it was made in Old Windsor. Ours is one of the few buildings in the village retaining this aspect of village history. Elsewhere, examples can be seen in Windsor's Guildhall and Brigidine School. 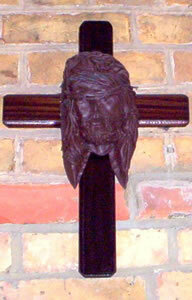 The Polish carving of the head of Christ above the Sanctuary doorway was presented to us by Rev Janusz Oslzanski as a gift from his Church in Bydgoszcz in Poland during an exchange visit organised by Windsor's Outreach committee. You are warmly invited to any of our activities! This house is now known as The Priory. In the first half of the 19th Century, both Wesleyan and Primitive Methodists tried to establish societies in Old Windsor. As described elsewhere3, Wesleyan Methodism in Windsor was growing steadily by the 1820s. Old Windsor was listed in the Windsor Circuit Preaching Plan in 1826 — three years before John Higgs took Methodism to Maidenhead! In 1839 at both Old Windsor and Old Windsor Common. In 1840 only at Old Windsor. In 1841 only at Old Windsor Common. 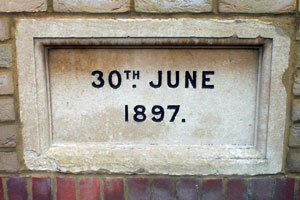 However, a group (under the auspices of the Baptist Church) held house meetings in a cottage in Albany Road. 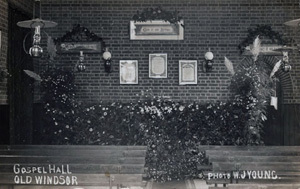 As numbers grew, the group moved to the hall of the Boys' School, sited at what is now Croft Corner. In the 16th century this piece of ground was part of "The Moor". Over time this area became the Village Green, the last remnant of which is the patch of grass in front of the Fox & Castle Public House. The junction here between what is now St Luke's Road and Crimp Hill was once known as "Stocks Corner" because the village stocks were on the green immediately opposite. A former member maintained that the church might be on the very site where the stocks stood … as the Christians of that era could have built it there to cleanse the site! 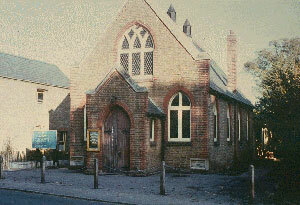 Mrs Nicholson was involved in the setting up of no fewer than five Gospel Halls — Bishopgate Evangelical in Englefield Green, Egham Hythe, Pooley Green and Datchet, as well as the one in Old Windsor. The Old Windsor Hall was built by Mr Groves of Windsor, who apparently underestimated the cost, and lost £100 on the contract. Mrs Nicholson is reputed to have paid not just for the building but also the stipend of the Church's first minister, Rev Bellchamber and, following his death, that of his successor, Pastor Brown who was likewise appointed by the Evangelical Society. 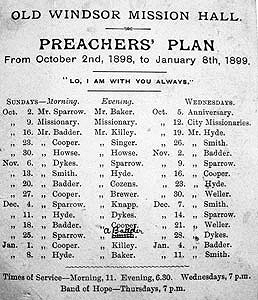 As can be seen from the preachers' plan for the fourth quarter of 1898, the Gospel Hall — described there as the Mission Hall — enjoyed a rota of preachers. Interestingly, Rev Bellchamber is not listed, although his successor, Pastor Brown, is said to have preached each Sunday! … and Breaking of Bread, the First Sunday in each month. In the years before the First World War, the work flourished, the membership grew and there were many activities. Anniversaries were celebrated such as the 13th illustrated here. 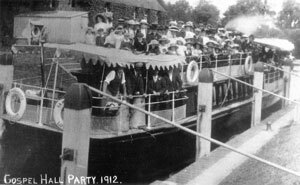 The young people were well catered for, and young and old enjoyed outings on the river Thames! When Pastor Brown retired in 1928, financial constraints resulted in the link with the London Evangelical Society being severed. 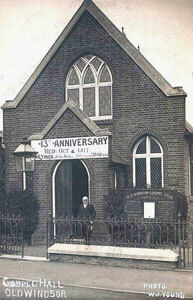 The members of the Gospel Hall approached Mr King (a master baker) and Mr Alfred Elisha (the local nurseryman with large greenhouses on the corner of St Luke's Road and Albany Road, and known as "The Prophet"), who both transferred from their Churches in Windsor and, with others, took over the running of the Old Windsor Gospel Hall. Selected preachers from various Non-Conformist Churches — Baptists, Methodists, Congregationalists and the Assembly of Open Brethren — agreed to come and preach at their own expense. One preacher, refusing public transport on a Sunday, rode over on his horse from Chertsey! In the 1930s the junior section of the Band of Hope, the Little White Ribboners, also met. On 21st May 1940, when the annual election of officers was held, all those then in office were unanimously re-elected for the duration of the war. At the meeting on 25th February 1941 the decision was taken to remove the electric bulbs from the outdoor lamps for the duration of the war. The numbers attending Sunday School were swelled by evacuees. 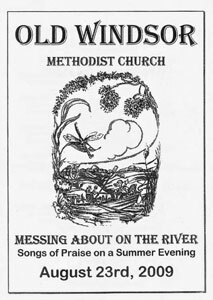 However, the society was having more and more difficulty in finding preachers, and the Gospel Hall members decided to look into union with the Methodist Church, resulting in a visit by Rev James Ingham on Friday, 13th June 1952, to speak about the pros and cons of union. 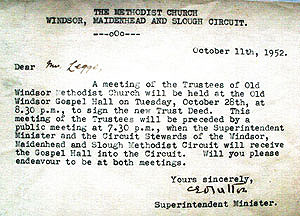 The following week (Thursday, 19th June 1952), at a specially convened meeting the trustees and members of the Gospel Hall agreed unanimously to apply for union with the Methodist Church. The union with the Methodists had some interesting implications. For example, because of the change of denomination, the previous registration for the solemnisation of marriages had become void. The Trust decided not to re-register immediately (but later did so in 1955). The question of insurance was reviewed, and the existing fire insurance policy with the County Fire Office was terminated on its date of expiry, and a new comprehensive policy was taken out with the Methodist Insurance Company. 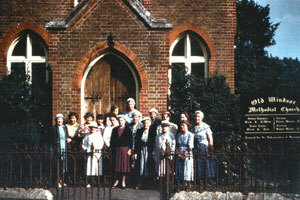 Throughout the 1950s the Church's youth work grew rapidly, to such an extent that by the end of the decade the decision had been taken to extend the premises. By that stage, each Sunday saw three Sunday School classes held in the main church and one in the vestry. The annual Sunday School outings required two and on occasion three coaches — in those days going always to Bognor Regis because one of the leading Sunday School teachers, Mrs Belcher, had friends there! On 16th June 1959 a fête, held on the local recreation ground, raised £200 and the serious business of building the hall was set in motion. Within 3 months (September 1959), Mr E Cox — who had offered his services free of charge — was appointed as the architect for a new hall. At a special meeting of the Trust in September 1961, he presented the plans for a building costing £4,500. The minutes record that "all present agreed they were satisfactory" 18(!) and the go-ahead was given. Three tenders for the new hall were considered in July 1962, and that from R E Wood of £4,292 was accepted. This figure included alterations inside the church (removing the old slow combustion stove and refurbishing the floor on which it stood, installing new heaters on the walls and disposing of the old tubular heaters) and the provision of a layby. The money was raised through the efforts of church members (especially the ladies! ), through grants from the London Mission, the Methodist General Chapel Fund and the Joseph Rank Trust, plus gifts from members of the First United Methodist Church of Sacramento, California, including Mr and Mrs Bovey (American relatives of Mrs Pitcher, a leading member of the church). The new hall was built. 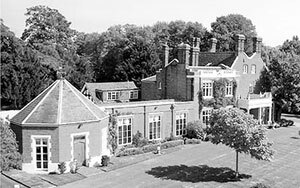 It was opened and dedicated on 15th June 1963 by the Baroness Schröder from Englefield Green (who had also opened the fête in 1959). In view of the death of a number of older members, and others not wishing to serve, a new Trust was constituted in May 1970 comprising 16 local members and 8 from other parts of the circuit. Consolidation and Modernisation: 1970s Style! The work among young people continued to grow. Major work was carried out on the building in 1972. 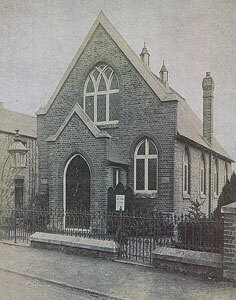 The inside of the Church was "turned round" and modernised, a vestry/meeting room was added, and the current side entrance incorporated. Unfortunately, planning regulations then meant that the front entrance porch, a feature of the original building, had to be removed to provide space for car parking. 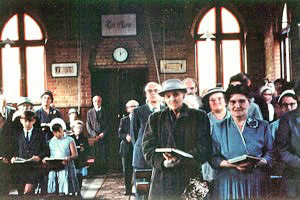 The re-opening dedication service was held on 20th May 1972, led by Rev Eddie Heap. 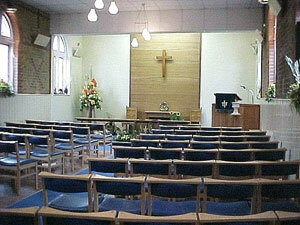 In the late 1970s the old wooden pews (bring your own cushion) were replaced by chairs. The pews were sold for garden seats and went like "hot cakes" and the congregation no longer stuck to them during hot Sunday services! Also, a new organ replaced the original (organists, pump with your feet) one. The 1970s and 1980s were vintage years for the Church. 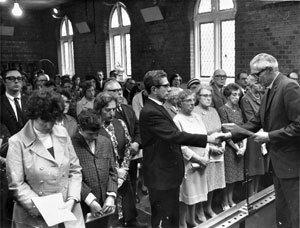 The (Methodist) membership reached its peak of 45, and its Youth Groups, Junior Church and Bible Classes flourished. 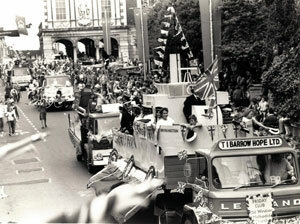 The youth clubs were very active; they enjoyed taking part in Old Windsor's annual Carnival, and the Friday Club also took part in Windsor's celebrations for the Queen's Silver Jubilee in 1977. This was followed by a period of decline. With, for example, the growth of alternative youth activities in Old Windsor on Sunday mornings, numbers, particularly of young people, dropped. 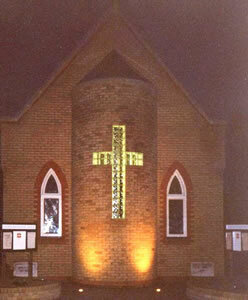 In the mid-1990s, under Rev James Booth, members developed a "vision" of how they would like their Church to develop. 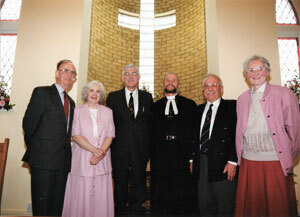 In 1995 a new beginning was made in their ministry with the appointment of a lay worker. 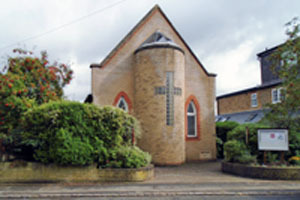 The Church benefitted from increased outreach, contact with the village's children through the Junior Church and a Holiday Club, and additional pastoral support for the members. On 17th May 1997, their Centenary Challenge was launched with a "Centenary Challenge" Service at which the Chairman of the London South West District, Rev R Martin Broadbent gave the address. £100,000 project. 50% raised by members with a series of fund-raising events. Completed in May 2000, this gave the church its current attractive exterior with its glass cross visibly proclaiming to all passers-by that it is a CHURCH (good-bye, 1970s planning regulations). 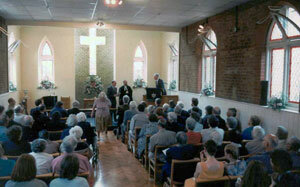 The hall and vestry/meeting room were renovated. Other improvements included an enlarged, welcoming entrance area, gas-fired central heating, a larger modernised kitchen and revamped toilets, including facilities for the disabled. The following year a Flower Festival was held on the theme of favourite hymns, such as "Thine be the Glory". 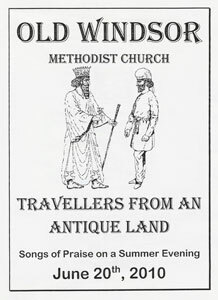 On 12th April 2007 the Church held the first in its now regular series of Traveller's Tales with 4 or 5 every year since then. It is a method of outreach which provides entertainment and instruction for its members, and brings in visitors. 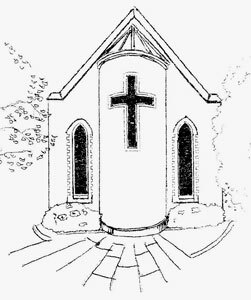 Noting that a large number of churches, particularly in small rural communities, were closing, in 2008 the Thames Valley Circuit decided to give extra support to the six churches with the smallest, and in most cases, ageing congregations. 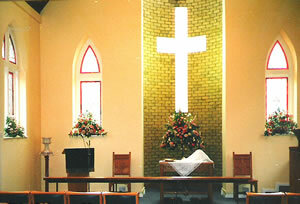 For further information, see the Smaller Churches page of this website. For details of current activities, such as Open the Book, see the church's main page and the Circuit Diary. 1. For a biography of Richard Bateman, see David Nash Ford's Royal Berkshire History"
2. Journal of John Wesley, 29th November 1771. 5. Document in Circuit Safe. 6. Kirkwood, Windsor Centenary Story p. 27. 7. Document in Circuit Safe. 8. Mrs Nicholson died in 1927 and is buried in Englefield Green Municipal Cemetery. 9. Letter from Mr Kimber, 24th February 1969. 10. Minutes of the Management Meeting, 19th January 1937. 11. ibid, 25th January 1938. 12. ibid, footnote appended to minutes of 26th August 1943. 13. Letter from Harold and Daphne Collingwood, September 1998. 14. Minutes of the Management Meeting, 25th May 1949. 15. ibid, 30th June 1948. 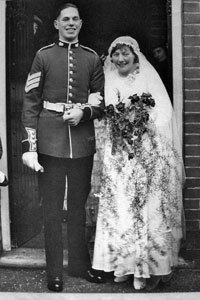 16. ibid, 5th June 1952. 17. Minutes of the Methodist Trust, 28th October 1952. 18. ibid, 4th September 1961. 19. Minutes of the Management Meeting, 1st November 1938. 20. ibid, 30th October 1962. For Cheapside, see "Our Circuit's History"